Hi creative peeps! 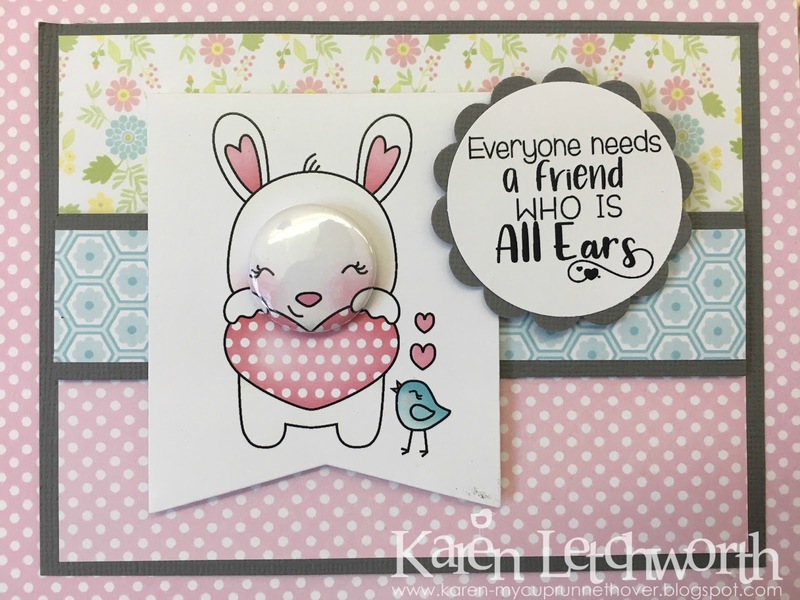 Welcome by today as I share a couple of cute Easter cards using some fun stamps from Darcie's Heart & Home Cling Stamp Set - Funny Bunny and the coordinating Heart & Home Tin Pins or flair with the different animals' heads to attach onto these already adorable stamped images. It was SO much fun creating these sweet cards. They had all the patterned papers pre-selected at the scrapbooking store, and they were sold right along side these adorable stamps and flair. How cute! The second card uses another cute stamp set and tin pins from Darcie's Heart & Home line. They are so fun. Adding the pins just added a whole new level of cuteness. And the small images were easy to color with my Copics. I hope you've enjoyed these two fun cards. I'd love to hear which one is your favorite. I love the bunny. There's also an adorable blue bird, a yellow chick, and some others. Have you ever experienced flair (tin pins)? SO much fun. Thanks for taking a peek at mine. Penny Black Challenge Blog - Feature A Creature - This is my entry #1 of three. These sweet stamps are Darcie; not Penny Black, but they sure are cute until I get some Penny Black stamps. 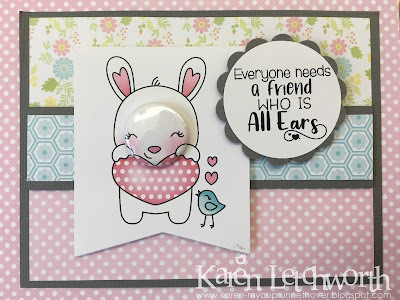 This is fun card with that sweet Lamb image, many thanks for joining in with our 'Feature a Creature' theme at Penny Black and More challenge. Such sweet card with the adorable images and how perfect are those sentiments!! Thanks so much for sharing with us this month at Penny Black and More challenge! Gorgeous cards Karen! The images are cuteness overload and I love the pretty pastels.